Be one of 5 lucky winners… You can win a premium WordPress theme from Theme Junkie! Founded in 2009, Theme Junkie creates modern and leading edge WordPress themes. We’ve been developing blogs and WordPress sites since 2010, and have pretty-well used Theme-Junkie for almost all our websites. In fact, Web Design Fact is built on the GoMedia theme, which was released by Theme Junkie in June 2014. The most important reasons we like Theme Junkie are: coding to the latest standards, responsive design, and unparalleled support. They respond to questions in the forums, and are always willing to help above and beyond. They go the extra mile! I’m pleased to announce Theme Junkie is giving away 5 Premium WordPress Themes! That’s one theme each for 5 lucky winners. Each winner will also get a registered account, and support through the forums. Like our Facebook page (3 points). Follow us on Twitter (3 points). After March 12th, 2015, we’ll let you know who the winners are, so keep watching right here on Web Design Fact! 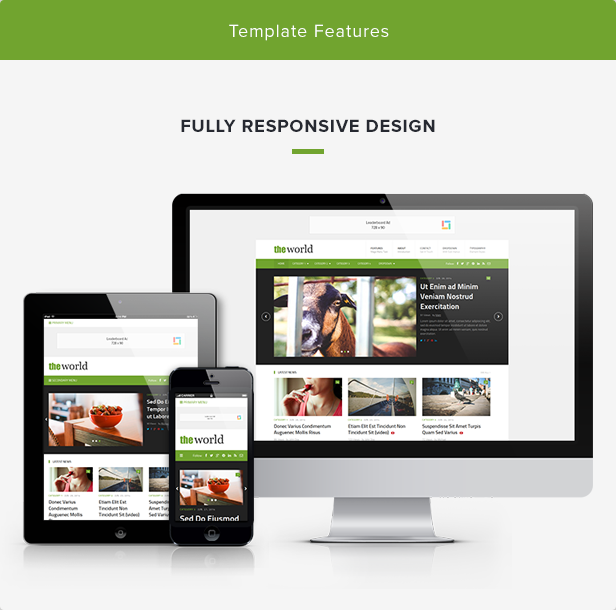 Check out a few of the amazing WordPress templates from Theme Junkie. 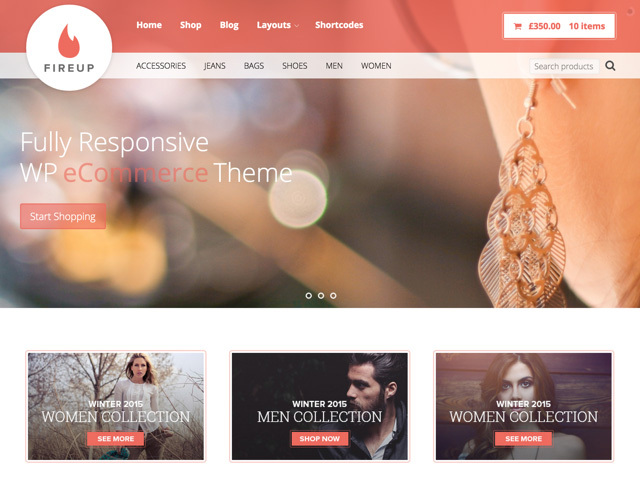 FireUp is Theme Junkie’s third WooCommerce theme. If you are looking to sell online or setup a store, you’ll want to check out this theme. 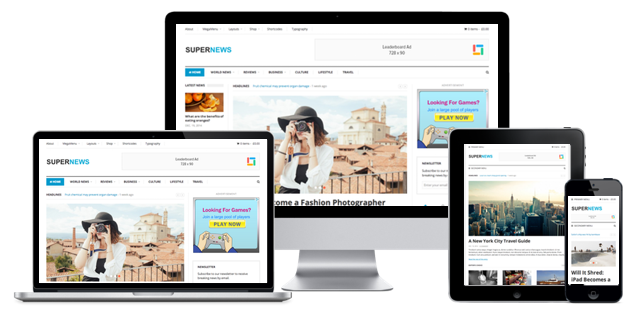 SuperNews is a responsive, flexible and super Multi-purpose WordPress theme. It supports drag n drop features with page builder functionality, plus already setup for WooCommere! What more do you need? 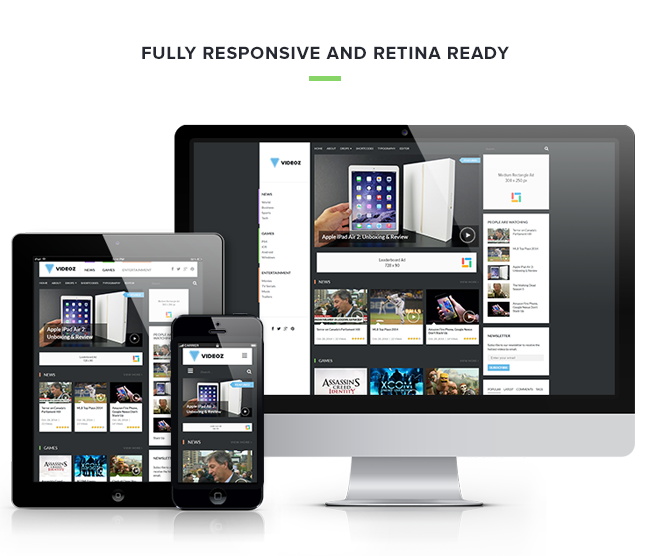 VideoZ is a unique, responsive, and easy-to-use WordPress video theme. The only WordPress video theme you need to consider! theWorld is perfect for news and magazine websites! And as the demo site shows, would make an ideal travel blog. And be sure to check out all of their themes as well! If you have been thinking of getting a premium WordPress theme, redesigning or building a new blog, then look no further. Theme Junkie WordPress themes are designed to the latest standards and coding, provide responsive design, and easy to use widgets. theme Junkie also stands behind their themes, with unparalleled support. It is easy to be a part of the giveaway. Just use the RaffleCopter widget, so you have a chance to win a Theme Junkie premium WordPress theme! I am promoting a brand new product that recently received patent approval and would like to spruce up my website to promote it. I’m in the midst of rebranding my blog, and I’d use the new theme for my “new” blog. I’d love to give my travel blog a refresh! theWorld theme would be great for a travel blog! I am looking for premium wordpress theme which can be used for my tech blog. Currently i am using free wordpress theme which is ok .
Hope that i win in this giveaway and use it on my blog. Milan lots of great choices from AugaMag to GoMedia etc. Looking to start a blog, written a few advance posts so this might be the motivation that I need… thanks! We can help u with the hosting and installing ur theme as well. I would redo my online site for custom cosplay gear and accessories. I would love to have a theme with this quality to use in one of my projects on the internet. I would use a new theme to redesign my site! I plan to use the theme to build an Amazon Affiliate Store. I’d use it for my blog and setting up my new shop! I want to move my twitter content onto a alluring website.. Where my followers can interact and post there triumps and winnings in a blog along side the twitter feed. I let my web site die several years back, but I want to resurrect it. Having a professional-looking theme would help! The giveaway is going very well . The freshlife theme is more then awesome. I love all of the theme from themejunkie. will you giveaway particular theme to participant or he/she may choose according to his/her choice ? Each winner can choose their own theme, of course! I would use the theme on my giveaway blog. I want to have a theme that doesn’t have a bunch of shortcodes and other junk so I can change my theme when I want something new and better looking. Great giveaway, thanks webdesignfact and theme-junkie.com. I would like to have a website that is not so restricted with what I can do and I LOVE the designs that they have here.